The Fastmind was selected to join Endeavor’s global network. Let’s learn more about this tech startup. Entrepreneurs Jorge and Eddy Prado were advised to move to Silicon Valley several years ago to grow their business. Good thing the brothers didn’t listen. Their company, The Fastmind, a tech startup based in Plantation, is the latest South Florida startup invited to join Endeavor’s global network. Endeavor Miami announced today that Jorge and Eddy were selected as Endeavor Entrepreneurs at Endeavor’s 85th International Selection Panel held in San Francisco last week after a rigorous selection process. As Endeavor Entrepreneurs, The Fastmind will begin receiving services including mentorship and access to capital, global markets and talent. Founded in 2017, The Fastmind created innovative technology that enables brands to seamlessly share content, ads and products to users across all platforms at once. This technology helps users flexibly and seamlessly access content and e-commerce products via their service of choice, wherever they are. “Today there are 100 ways to consume the same content or 100 places to buy the same product. 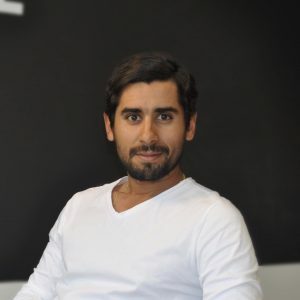 We give the brands the best option depending on the users who open their ads or their links in social media,” said Jorge, who moved with his brother to the Miami area from Venezuela about six years ago. The Fastmind started out as a gaming platform because gamers had the same problem. When a user shared a game with you, you couldn’t just open it, you had to go to the app store, download it, etc. 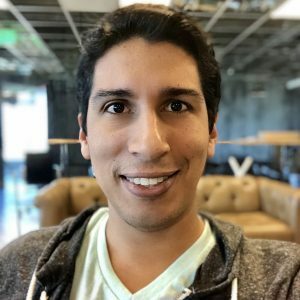 “So we did it with our technology, called Viral 360, which allows other players — in one click — to play in the platform of their choice without having to download anything,” said Jorge, who is the CEO, pictured above. Eddy, pictured below, oversees the technology. After wild organic growth – over 30 million users worldwide – the co-founders began testing and discovering that the technology could be extended to music, TV shows, podcasts and e-commerce. They credit TheVentureCity – they were part of that entrepreneurial organization’s first accelerator cohort in Miami – with helping them see and make that transformation. “TheVentureCity helped us expand our vision from being a game company to a tech company,” said Jorge. The Fastmind has 14 employees. All work in Plantation, which is becoming HQ Central for a number of tech companies, most notably Magic Leap. Recruiting talent has been a challenge but every year it gets easier to recruit people to relocate to Miami, Jorge said. Endeavor Miami launched in September 2013, supported by the John S. and James L. Knight Foundation. Endeavor Miami’s entrepreneurs generated close to $200 million in revenues and 2,000 jobs in South Florida in 2018, Endeavor Miami said. With the addition of The Fastmind’s co-founders, Endeavor Miami currently supports 23 companies and 43 entrepreneurs.